The Education Alliance for Amateur Radio (EAAR) promotes Science, Technology, Engineering, and Math education through youth and community education and collaboration with other Amateur Radio organizations. Learn more about how radio enhances STEM education. How does radio enhance STEM education? Science, Technology, Engineering, and Math (STEM) are basic tenets of our organization. EAAR’s goals include getting information out to educators, schools, youth groups, and others so they may learn the basic concepts and principles used in the field of electricity and radio transmission. The concepts learned in Amateur Radio will transfer to engineering principles, scientific theories, and math needed to properly calculate appropriate values needed for specific projects. On February 17, 2019, EAAR will be offering a free D-Star training class covering D-star basics, using android apps with D-star, and DRATS. The class is free of charge and will be held from 10 am to 2 pm at Upper Pottstgrove Township Building 1409 Farmington Ave, Pottstown Pa. Light refreshments will be served. This is a hands on class, so bring your D-star radio, laptop and or android tablet or device. A limited number of loaner radios will be available. Programming assistance will be available as well. Please RSVP to the EAAR directors at info@radiostemalliance.org. EAAR received a grant from the East Coast Amateur Radio Service (ECARS) to purchase radio receivers, transmitter and direction finding antennas to be used in our programs with the Boy Scouts of America Radio Merit Badge and the ARRL Wireless Technologies Award for Girl Scouts. The classes are designed as an outreach program to promote amateur radio awareness. Read more about the grant on the ECARS website. 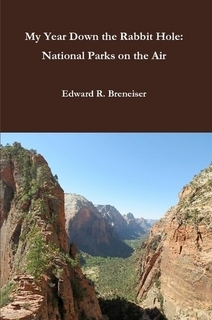 All proceeds from Edward Breneiser’s book, My Year Down the Rabbit Hole: National Parks on the Air, are donated to EAAR and further our mission of enhancing education through radio. Your contributions, however big or small, help further EAAR’s mission. Contributions are tax deductible, and an invoice will be provided. If you have experience in STEM education, Amateur Radio, or Scouting, your skills can help EAAR reach more of our communities. The Education Alliance for Amateur Radio (EAAR) is a 501(c)(3) non-profit corporation established in 2016 to promote Science, Technology, Engineering, and Math (STEM) education through youth and community education and collaboration with other Amateur Radio organizations. EAAR members also directly promote Amateur Radio with education and training. Promote STEM as a resource for local communities by providing funding, equipment and educational services. EAAR Director’s are unpaid volunteers. They are currently licensed Amateur Radio operators in good standing with the United States FCC Amateur Radio Service and members of the American Radio Relay League (ARRL), the nation’s largest association for Amateur Radio. In addition, they are certified as volunteers as required by the Pennsylvania Child Protective Services Act. Several EAAR Board members are ARRL Registered License Instructors and BSA Radio Merit Badge Counselors. Bill Hewitt has always been interested in education and technology. He holds advanced degrees in Information Science, Adult Education and Applied Economics. The majority of his career has been in the Financial Services Sector, solving problems using technology, data, and statistics. Bill is also an educator. 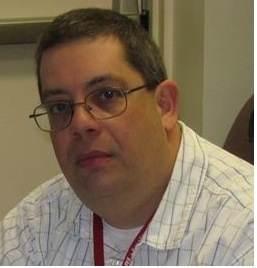 “Doctor Bill”, as his students call him, has been teaching economics and statistics for over 20 years. Bill has been involved in the local community since his youth. An Eagle Scout and Lifetime National Eagle Scout Association Member, he sees the value of youth education. In addition, Bill is an active member on his local township’s planning commission, a member of the local radio club, and an ARES/RACES member for Montgomery County. 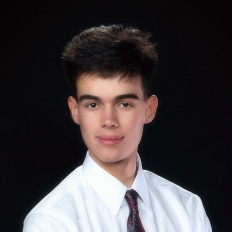 Aidan became involved in Amateur Radio thanks to his father. He met the EAAR Directors through the local radio club, and looks forward to shaping the online presence of the organization. He is also an Eagle Scout and musician. Copyright 2017 Education Alliance for Amateur Radio. All Rights Reserved.